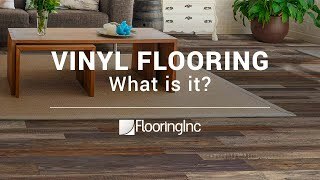 Vinyl Flooring - What is it? 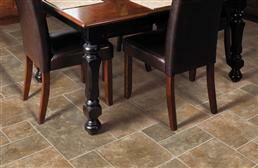 Vinyl flooring is a durable and easy to care for flooring option. 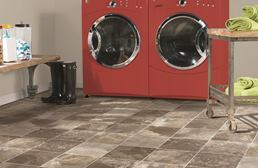 Vinyl sheet flooring is naturally waterproof and resistant to mold and mildew, making it the perfect floor for any room. 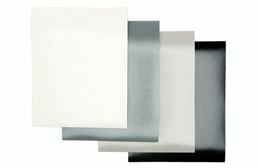 Vinyl sheets are available in many sizes and styles, from brands like Shaw and Mohawk. 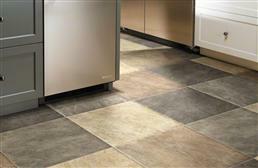 Sheet vinyl is great as residential flooring, kitchen flooring, and as a low cost replacement for floor tiles. 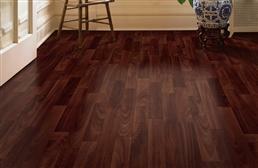 Vinyl wood flooring is all the rage and is available in attractive looks that truly resemble hardwood flooring. 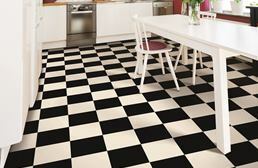 Vinyl sheet flooring may conjure up memories of unattractive flooring from the late 1970’s, and that’s actually pretty accurate because the prints and styles back then were something else! 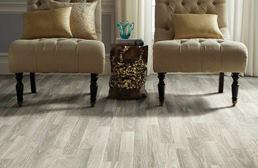 However, as technology has increased across all industries in the past few decades, so has the style and durability of vinyl sheet flooring. 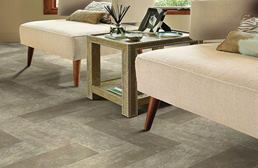 Print images are now worlds better than they were before, and manufacturers are able to create vinyl sheet flooring that actually mimics hardwood flooring, stone flooring, and other looks in a way that easily tricks the eye. 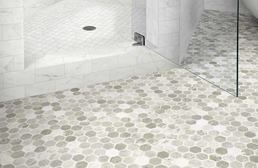 Tile patterns, for example, now are being made to where the grout line on the vinyl sheet actually has a little bit of a depression as if it were actually grout on a tile floor. 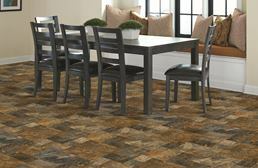 Wood looks have textured surfaces that go with the grain of the wood so it looks and feels like actual wood! 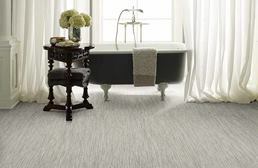 The high quality imagery really is attractive and there is certainly main patterns that are sure to go well with any room’s decor. 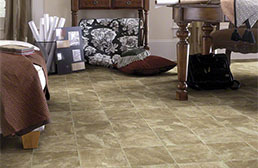 Rolled vinyl flooring is low cost per square foot compared to other flooring options on the market, making it the perfect option for larger areas that need to be covered with flooring. 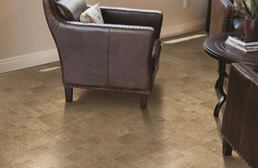 Unlike the flooring that some patterns are made to replicate - cough *hardwood* cough - vinyl sheet can be installed absolutely anywhere in the home, including below grade in basements. How do you like them apples, hardwood? 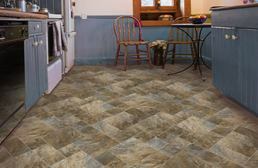 Vinyl flooring is incredibly versatile and commonly installed in home offices, bedrooms, kitchens, bathrooms, mudrooms, basements, rental properties, and even in laundry rooms. 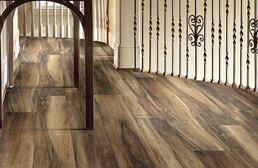 Vinyl is naturally resistant to mold, mildew, and staining, which makes it incredibly easy to clean and maintain. 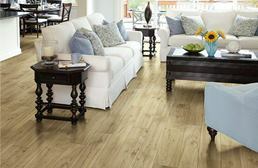 Vinyl floors are great for growing families, people with pets, and even those with allergies since it is so easy to clean up with a broom and damp mop. 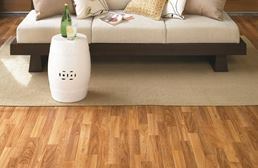 Vinyl sheet have few seams like other flooring types, limiting the places where bacteria can grow. 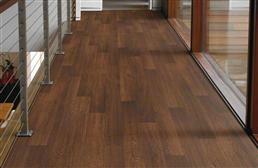 It is the ultimate kid and pet friendly flooring. 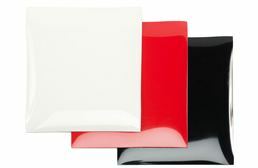 Our Impact Sheet Rolls have been specially designed with exercise in mind. 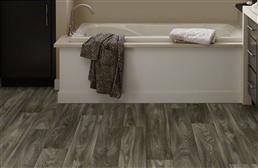 These rolls are built to provide superior comfort underfoot and provide shock absorbency in rooms where padding and durability is needed. 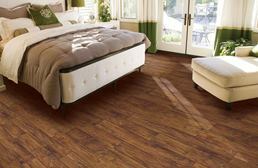 Our Eco-Impact Rolls have a thick foam backing that helps with sound absorption and is an excellent alternative to hardwood. 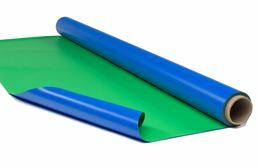 Our regular Impact Roll is backed with durable yet cushiony rubber for superior shock absorbency for all of your workout needs. 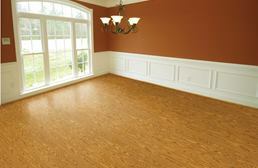 Both rolls are approved for indoor basketball courts, dance studios, yoga studios and more! 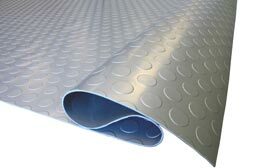 The cushioned backings offer comfort and support, while the vinyl surface provides a nonporous area that is easy to clean up after sweat and spills hit the ground. 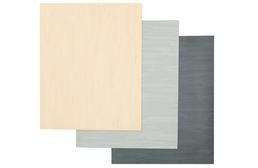 With vinyl’s natural properties of resistance to mold and mildew, these are the perfect rolls for an active workout room where you’ll be sweating up a storm. 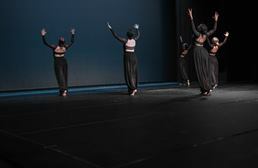 And let’s be honest, if you’re not sweating, you’re not doing it right! 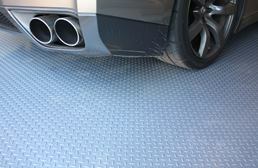 Impact Rolls are versatile in installation and can be either loose laid, installed with perimeter double sided tape, or glued down for a permanent installation.